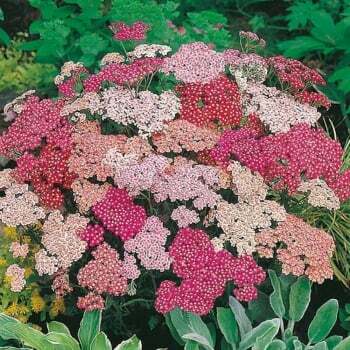 These Mr. Fothergill's Achillea Summer Berries seeds from Ruddick Garden Gifts are an easy to grow perennial favourite. The fabulous mix of fruity colours, attractive fern like foliage and large flower heads make this perfect for borders and rock gardens. These seeds will flower in the first year from an early sowing. Average of 50 seeds per pack.